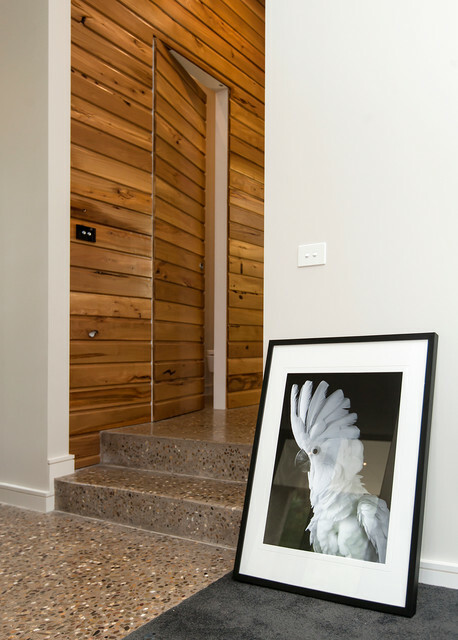 In the hall Don’t be startled, this cockatoo print is leaning against the wall of its contemporary Australian home, merely waiting to be hung. This is a great designer trick – just leave your artwork for a week in a place where you later plan to put it permanently and see if it’s ‘right’. It’s a good idea to do this when you have an especially powerful graphic image, such as this black and white photograph of a cockatoo, and are unsure whether it’s impact will be alarming or appreciated.